All about Aldi. The Café’s best tips and tricks for shopping at Aldi, as well as our favorite things to buy! We have a little different type of post for you today, all about shopping at Aldi and some of the wonderful products we find there every week. We think Aldi is a little diamond-in-the-rough secret when it comes to finding great buys on groceries and we wanted to share some of our great finds with you. Who am I talking about when I say “we”? Well, that’s one other thing I wanted to share with you today. I’m excited to introduce you to an integral member of The Café team, my daughter-in-law, Lindsay. Lindsay has been working behind the scenes for us for quite a while now with social media and some of the nuts and bolts tasks that go with running a website. Recently she’s been contributing more as she’s the one who’s been putting together our special Sunday “What to Cook Now” posts. We’ve gotten lots of great feedback from you on her posts and I thought it was past due time for you to get to know this valuable member of our team. Meet Lindsay! 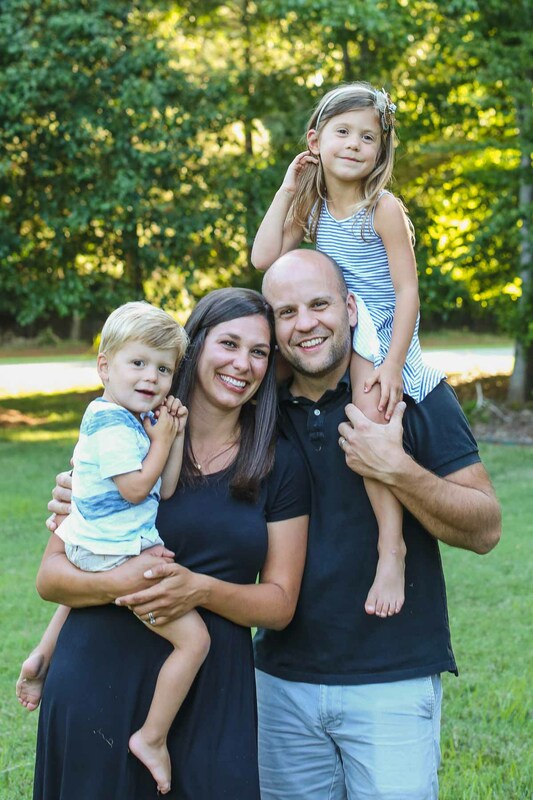 In addition to being a wonderful wife to our son Nick and mom to Emmy and Hayes, (two of our six grandchildren), Lindsay has an undergraduate degree in education and was a beloved 2nd-grade teacher before the two children were born. She’s smart, creative, super positive and we love having her as part of The Café! 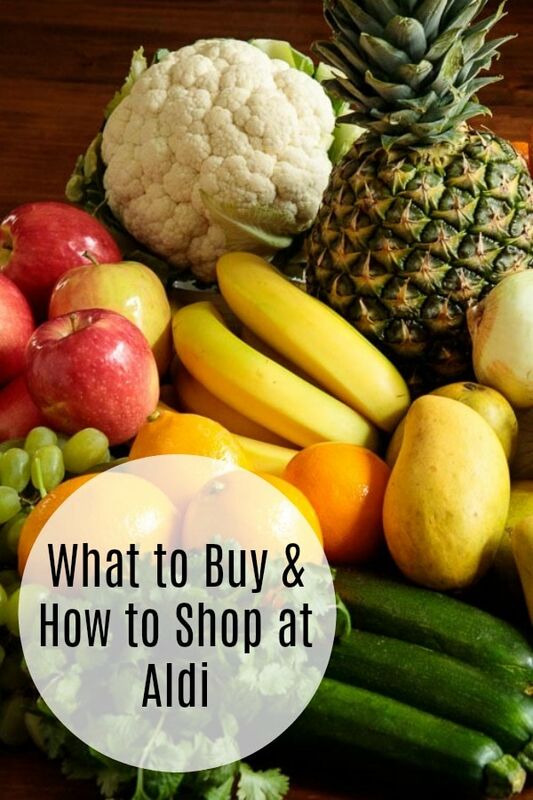 Lindsay and I have collaborated on this post as we both love shopping at Aldi and have found that it stretches our grocery budget while also allowing us to eat very well. By the way, this is not a sponsored post, we just really like Aldi! 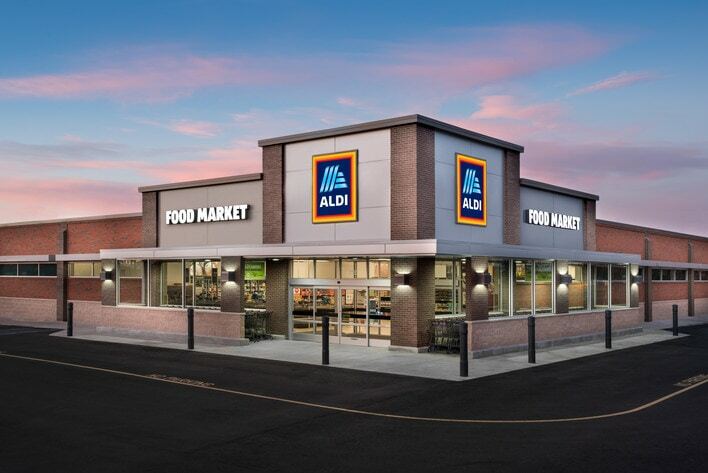 Before we share a few tips on how to shop Aldi and some of our favorite products there are a few interesting facts about Aldi that you might not be aware of. Aldi – did you know? Aldi was started by Karl Albrecht as a small family-owned grocery store in Essen, Germany in the early 1900s. The original store in Essen is still in operation! In 1946 the Aldi chain was founded by the two sons of Karl Albrecht, Karl and Theo. This new chain of stores was called Albrecht Discount and eventually, that was shortened to Aldi. Aldi now has over 10,000 stores in 20 countries! Aldi is growing like crazy all over the world. In England, a new store opens every week! In 1979, Theo Albrecht bought a small chain of stores in California called… Trader Joes! Trader Joes remains to this day under the same parent company as Aldi, Aldi Nord. Aldi has removed synthetic colors, partially hydrogenated oils and added monosodium glutamate (MSG) from their private label goods. Aldi’s Simply Nature line of products are all organic or non-GMO Project verified. You also won’t find any added artificial ingredients and preservatives, including artificial flavors, artificial colors, high fructose corn syrup as well as hydrogenated oils & partially hydrogenated oils. They also offer a gluten-free line called LifeGfree. The wonderful thing is that they offer these products at very reasonable prices. Aldi is spending $1.6 billion (yes, with a B!) on remodeling or rebuilding its U.S. stores. We just got a brand new Aldi in Asheville on the site of the older store. It’s big, bright, beautiful and offers lots of new items. Aldi has been steadily rolling out “fancier” foods despite its reputation as a “no-frills grocery with rock-bottom prices”, according to Business Insider. 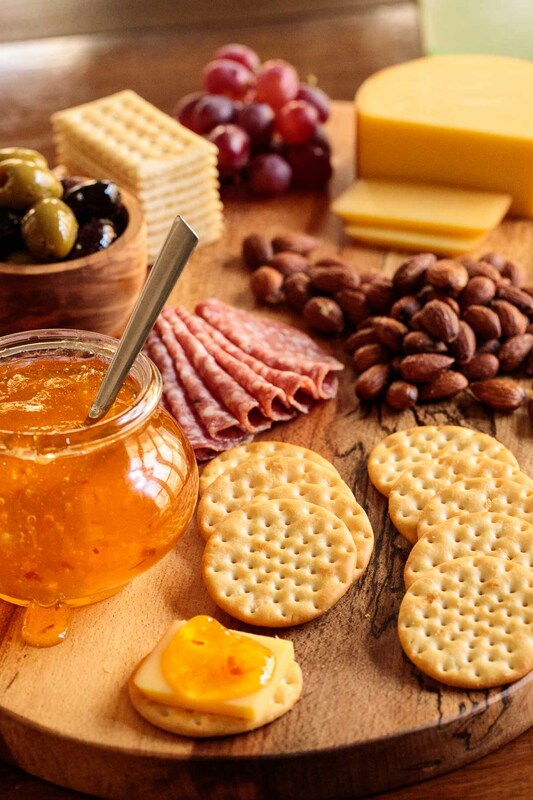 Look for artisanal cheeses, charcuterie, smoked salmon, quinoa and organic coconut oil, to name a few items. Aldi is one of our favorite places to shop for groceries and we’re always amazed at the total bill when checking out. We’re able to eat healthy, fresh, gourmet food on a budget! Aldi can take a little getting used to, but once you figure it out, we think you’ll be hooked! Bring a quarter with you when you shop at Aldi for your cart. The carts are attached together in front of the building. You place a quarter in the slot and it releases the chain connecting it to the next cart. When you are finished shopping, you return your cart and your quarter is returned to you. We always keep a few “Aldi quarters” in our cars. Returning your own cart means that an employee doesn’t have to collect it, which is just one of the ways Aldi cuts costs and therefore saves you money! When you walk in, you’ll notice that all the groceries are in boxes on shelves. There are also fewer products than large chain groceries carry because Aldi sells a lot of their own brands. We like many of the Aldi brand products and it makes shopping simple and quick since you’re not comparing prices between competing brands. We bring our own shopping bags to Aldi. You can also purchase bags for a small fee, or you can grab empty boxes from the shelves to put your groceries in. After you check out, you bag your own groceries. One more way that Aldi is able to cut costs. And they definitely pass the savings on! First things first! In many Aldi stores, the first thing you’ll see is a large display of big European chocolate bars for about the same price you pay for a Snicker’s or Milky Way bar at your local grocery. Some sources say that Aldi actually owns a German chocolate factory! Where ever they get their chocolate it’s good and definitely a step up from every day chocolate! Aldi’s specialty cheese section is like an exciting treasure hunt! You never know what little gems you’ll discover, and the prices are fantastic. We find that they’re always adding new selections too. 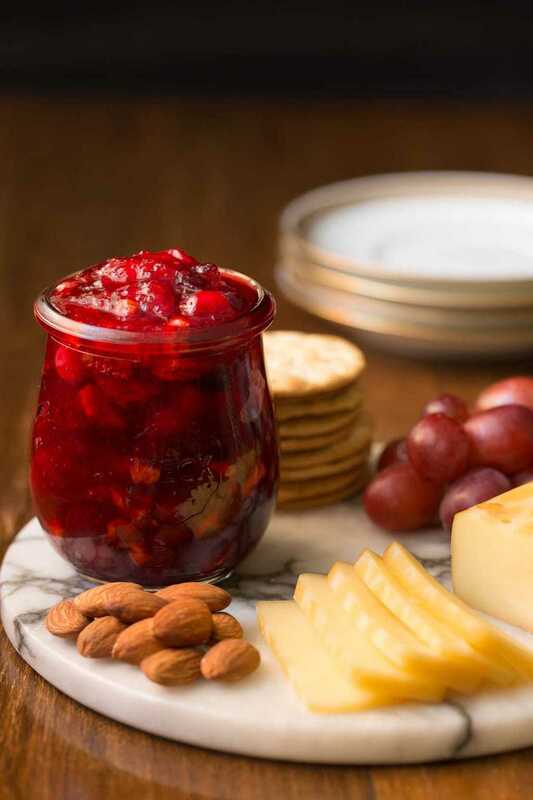 The smoked Gouda, Cheddar and Gruyere are some of our favorites, perfect for serving with our 30-Minute Clementine Pepper Jelly or our Cranberry Clementine Conserves. You’ll also enjoy their fresh and regular Mozzarella, Havarti, Brie, Parmesan, Swiss, Feta together with a plethora of other international artisan cheeses and delicious charcuterie items at a fraction of the price of other grocers. We really enjoy goat cheese, but it can be so expensive. 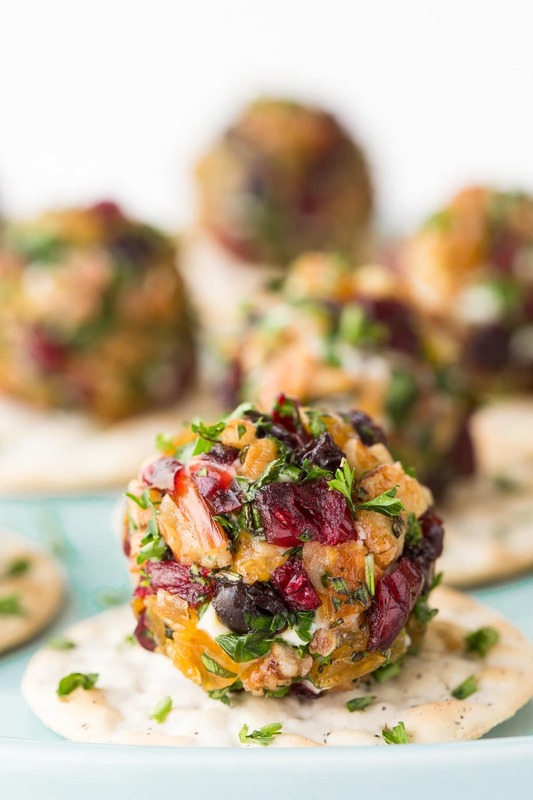 Aldi goat cheese is delicious and, you guessed it, is also an unbelievable deal! We love to make these Rosemary Pecan Goat Cheese Truffles with it. Aldi brioche buns are our favorite for burgers! They’re soft, buttery and delicious. 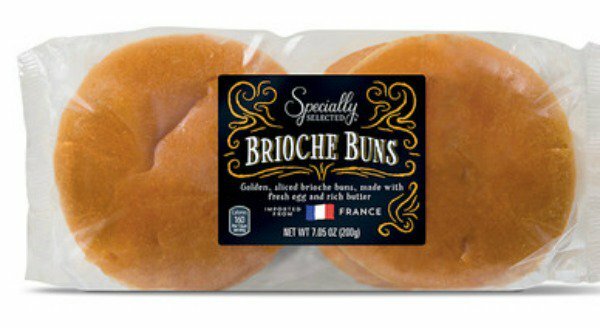 They also carry brioche in sliders, hot dog buns and there’s a brioche loaf (plain and chocolate chip) that is perfect for french toast and bread pudding! 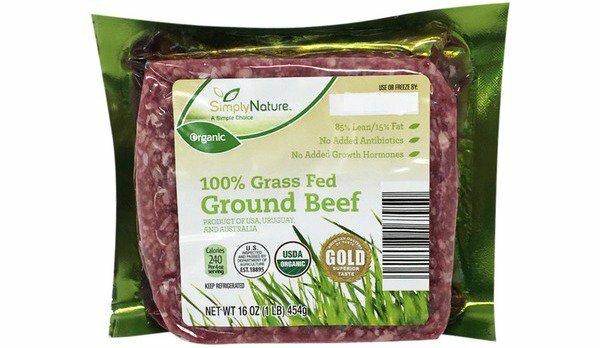 This grass-fed organic beef is wonderful! It makes delicious burgers that we love to serve with the brioche buns. 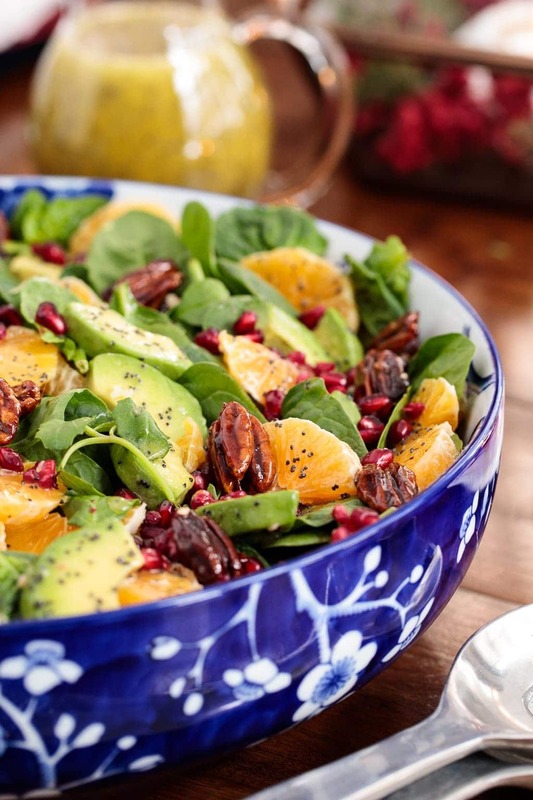 Add a fresh salad like this Clementine Avocado Spinach Salad and you’ve got a fabulous and easy dinner that everyone will love! This thick-cut bacon is another favorite. We love it for weekend breakfasts. It comes in several other options, hickory-smoked, applewood-smoked and pepper-coated. They’re all wonderful! We’re nuts about nuts! And Aldi is our favorite place to buy them for a really reasonable price. 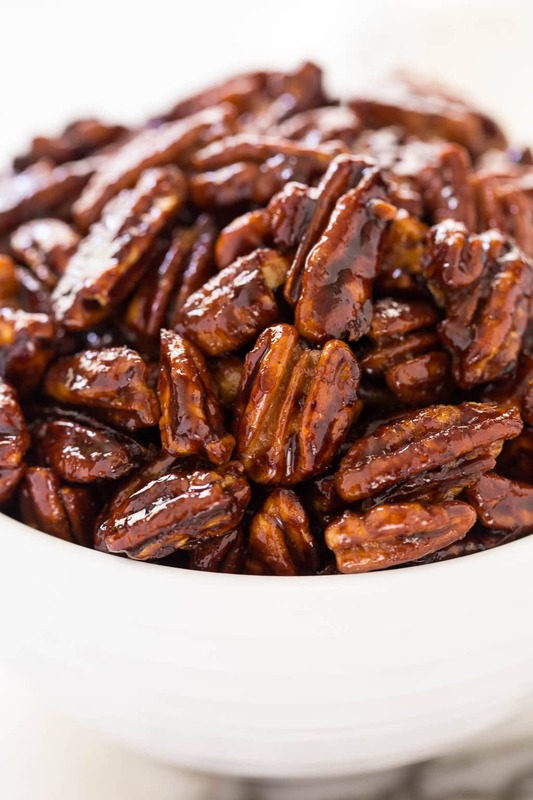 We love using the pecans to make these delicious Easy Candied Pecans. 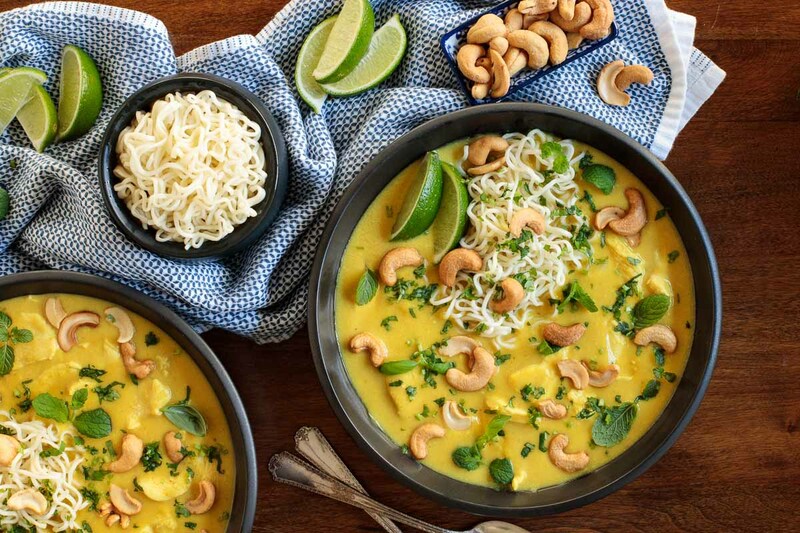 The cashews are great for snacking, topping salads or dishes like this Coconut Curry Chicken Ramen. 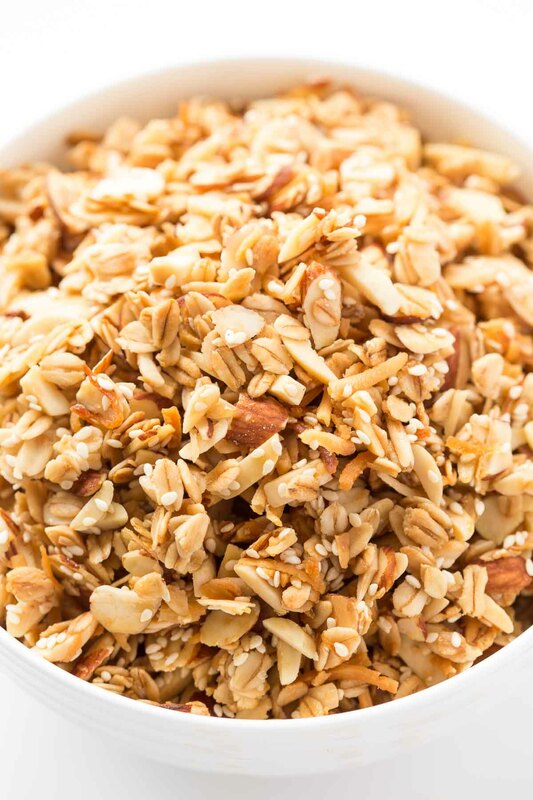 Aldi’s sliced and slivered almonds and are great for baking – we keep a stock of them for one of our favorite breakfasts, this Best Ever Granola! We also love the pistachios, pepitas and walnuts at Aldi. Stocking up on baking supplies at Aldi is easy and saves lots of money. 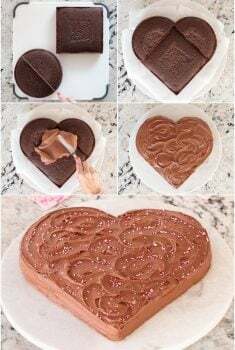 Coconut, oatmeal, chocolate chips, baking powder and soda, sweetened condensed milk, marshmallows, marshmallow creme, cocoa, pie filling, yeast, cornmeal and graham cracker crumbs are all among the great buys we find at Aldi. 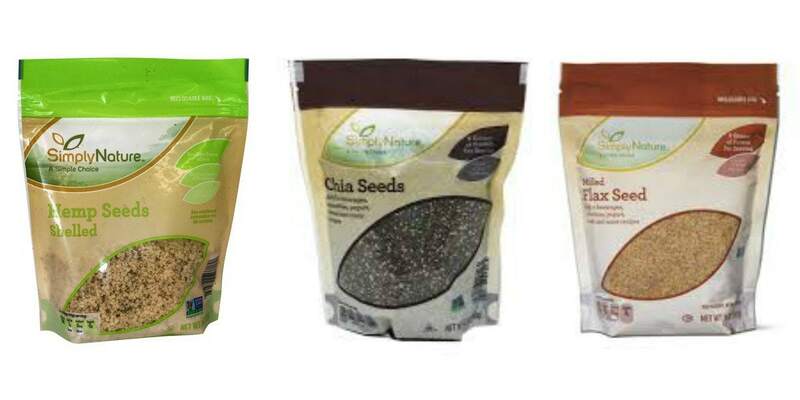 Coconut oil, hemp seeds, chia seeds, and flaxseed are also good quality and much cheaper than you can find anywhere else. 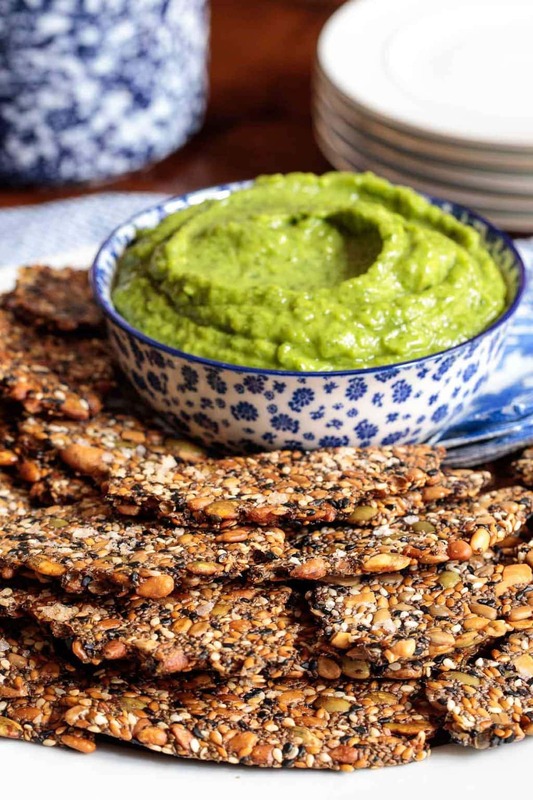 The Aldi seeds are what we use in these Easy Pine Nut Seeded Crackers. Aldi spices are wonderful, and they’re around a dollar a bottle. You just can’t beat that! As much as we love all these other products, the produce section alone is worth the trip (including lots of organic produce)! And to show how healthy and reasonably you can shop at Aldi we decided to see just how much produce we could buy at Aldi for $25. Yep, $25 was our absolute limit. Check out the picture above of what we filled our cart up with! Crazy, right? Asparagus was $1.19 per pound, oranges $1.99 for a BIG bag, 99 cents a pound for beautiful, sweet green grapes and mangos for 29 cents each. We also got Pink Lady apples, cilantro, zucchini, garlic, a fresh pineapple, bananas, a bag of onions, Meyer lemons, cauliflower and avocados. Lots of avocados! At 39 cents each, I bought 10 of them. 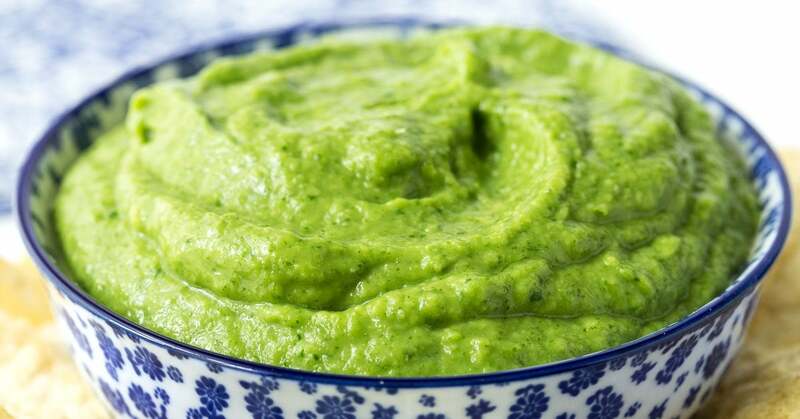 Definitely an inspiration to make this delicious Guasacaca (Venezuelan Guacamole)! A little tip about Aldi avocados: their avocados are almost always pretty hard and green but they do ripen up nicely in 3-4 days. So plan ahead when purchasing Aldi avocados! 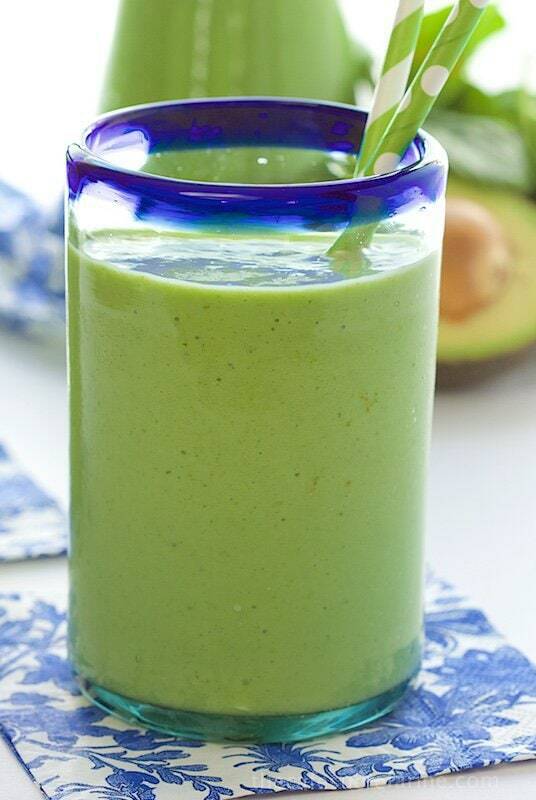 Another thing we always stock up on is spinach for smoothies like this Pineapple and Banana Green Smoothie. Apples, berries, peppers, broccoli and lots of other Aldi fresh produce are weekly staples for us. There are really too many Aldi items that we enjoy to list them all! A few of the others are kids snacks, especially the applesauce pouches, big pretzel rods and White Cheddar Puffs (they’re just like Pirate’s Booty). We also buy our plastic storage bags at Aldi. Again, a great price and good quality. Canned beans, organic chicken and beef broth, milk, pure maple syrup, hummus, tortilla chips and canned tomatoes are also among our favorites. Speaking of canned tomatoes, we buy Aldi’s fire-roasted tomatoes by the case. 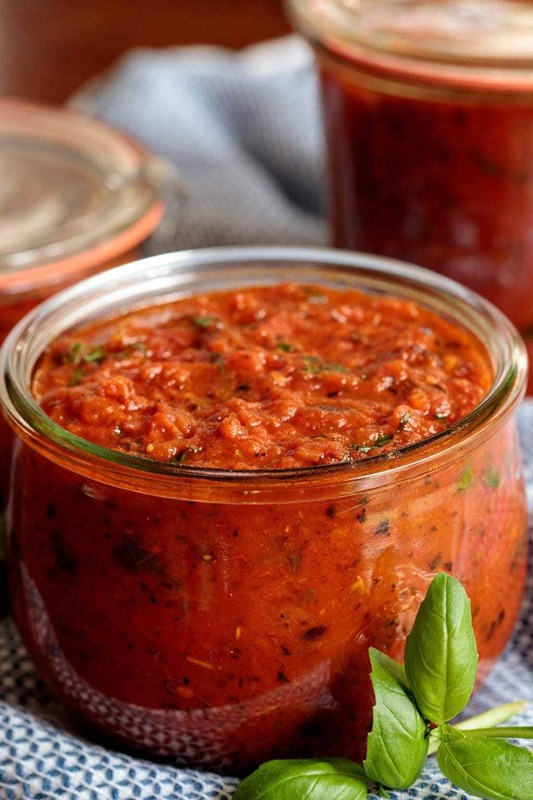 We love using them in this Super Easy Pizza Sauce (and so many other things!). Do we buy everything at Aldi? Nope, as much as enjoy shopping at Aldi, it’s not a store where we can do 100% of our shopping. While they are getting more and more specialty items, they don’t have all the ingredients we regularly like to cook with. Asian and specialty international ingredients, certain herbs, unusual produce and brand name products we really like are things we buy at our local traditional grocery stores. We’re not crazy about Aldi Greek yogurt, flour, brown and powdered sugar (it tends to get lumpy quickly), paper products (napkins and paper towels) and a few other items. In the past, we didn’t buy meat at Aldi, but their selection is getting better and better all the time. Last time I shopped at Aldi, I was in the checkout line and noticed the shopper ahead of me had lots of fresh salmon in her cart. I asked her how she liked it and she raved about it saying, “I love this salmon. It’s better than anything I can buy around here.” Guess what I’ll be trying out at my next Aldi visit? So that’s our take on Aldi, in a nutshell! If you’re an Aldi shopper we’d love to hear what your favorite products are. It’s always great to learn from each other! I also shop at Aldi’s all the time. I love the price of the almond milk and buy it weekly as my husband uses a lot of it on his cereal that we buy at Aldi’s. I always have good luck with their produce. I’m going to get the fire roasted tomatoes the next time. I wait until the chicken thighs are on sale then buy a lot of them and make my own chicken broth then freeze the cooked thighs for later use. I have found out that their buns don’t stay fresh enough for us, probably because we don’t eat a lot of bread products but love the butter prices. I love your idea for chicken thighs, Diana! Bravo! I love Aldi’s. Their fruits and vegetables are really good. Everything that I have bought there I have no complaints. The money I save is Awesome !! I’m an American living in Germany, and this is really interesting to read. 🙂 The two divisions of Aldi here (Aldi Nord and Aldi Sued = north and south) often sell different products, and Aldi Sued has a reputation for having a better selection. I find it interesting that Aldi in the US has such great produce because the selection here often doesn’t look so good. I do enjoy their cheese and smoked meat/sausage selection, and they have more and more specialty items. Their store brand chocolate bars are, in my opinion, better than the name brand ones or at least as good. Some of my favorite products to buy there are nuts, which oddly enough are from the Trader’s Joe brand. Does Aldi in the US have weekly specials, like clothing and home items? Those are generally pretty good here, too. So interesting to hear your point of view, Alicia! Thanks for sharing this info. Yes, Aldi does have weekly specials and you just never know what they’re going to have. I have been buying all the meat and fresh salmon for quite a while. I have never been disappointed. I use the beef country style ribs to make short ribs. The salmon that is preseason is spectacular. I also had very good luck with their paper products. If you read the package it’ll tell you what it is comprable to so you know exactly what kind of toilet paper or paper towel you should expect. I also tried in the freezer section the Cattleman burgers and they were amazing. Always hope to see if they have a specialty item.!! Their Bakery items a really good also. Thank you, Joanne for your great tips! I love Aldi’s! I think it is indeed a hidden secret mainly because many people think it is a store filled with low quality food. The fact is that the food more often is better at Aldi than at many stores and is as you mentioned a great deal. I love when you go to Aldi’s and they have random sales, I purchased little plastic containers of cherry tomatoes last year for .19 cents, the same ones for sale at my local grocery for $3.00! I went back and purchased 2 cases full, then I washed them placed them on sheet pans with cloves of garlic and basil and baked them at 400 until the tomatoes popped. I put the mixture in the blender and coarsely chopped it and then froze it in batches to use as the base to pasta sauce, tomato soup and so many other recipes. What a delicious and wonderful idea, Elizbeth! Thanks for sharing! Yes, you never know what the next great deal at Aldi will be! I first shopped Aldi in Dusseldorf Germany in 1986-87 where we lived while my husband did his dissertation research. It was very close to our apartment and I went often every week. Aldi sustained us while we finished grad school and through those first few years of adjunct teaching before we got a tenure track job. Now my car just automatically pulls into the Aldi lot! I am fortunate to have a Trader Joe’s and an Aldi that are within feet of each other, so I can shop both easily. I agree with you about almost everything. Their fresh fish is good but I don’t care for the frozen. I do buy some meat and while it’s adequate I mostly buy meat someplace else. I love the lunch meat and cheese section mostly because you never know what treat you’ll find. This week it was Irish cheese and boy was it good. I could not have feed my family in those early years without Aldi. My kids always had milk, eggs and fresh fruit because of them. Thanks for the post and good to meet you Lindsay. What a great story and tribute to Aldi, Renee! I love it! I don’t love that I missed that Irish cheese!! Been an Aldis shopper for about a year now and for the most part I love it. However, I don’t buy the produce anymore. It tends to spoil quickly and never has a really fresh taste. I havent bought meat or there either, just didnt trust it. 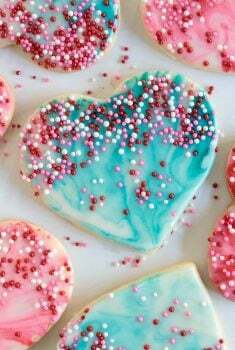 But milk, cream, dairy, (except eggs) bread, most canned good and for sure cookies & chocolates. Thanks, Vicky! 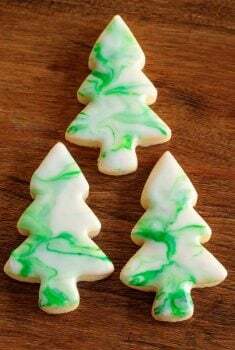 The cookies and chocolate are definite winners! – I love the Greek yogurt and have completely eliminated mayonnaise out of my life happily. -unsweetened almond milk and non specialty cheese are so cheap I feel guilty! I love it, Marcy! Who would have thought?? What a find! Thanks, Julie! Haven’t tried the mayo but will pick some up next time I’m there! Agree with you about the sugar from Aldo: it gets lumpy quickly. We like their butter, eggs, milk, cauliflower and other produce. We don’t buy meat there and I’m not much of a packaged foods person. I tend to be brand loyal on the packaged foods that I do buy. I’ll have to try the fire roasted tomatoes. Love those and they can be pricey elsewhere. Thanks, Vicky! I haven’t tried a lot of their meat either but after hearing some of the other reader’s comments, I’m going to start trying it more often! We have celiac and gluten intolerance in our family. Aldi is our go to place for bagels! I’ll be checking out your suggestions and sharing this with friends! Thanks! That’s so good to know, Karen! Some of those kinds of “specialty items” can be so ridiculously expensive at other stores! I am a big Aldi fan as well. 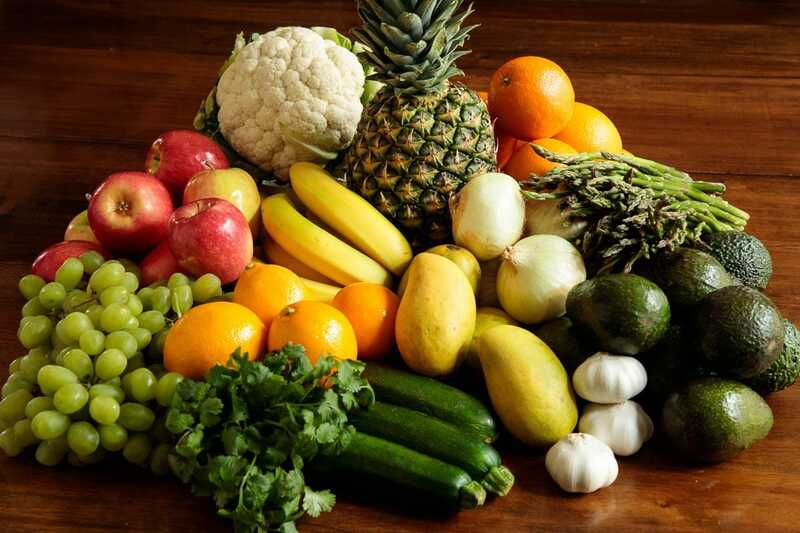 I regularly purchase many of my veggie stables there— especially cauliflower, carrots, Vidalia onions, spinach, broccoli, romaine hearts, artisan lettuce, melons, berries, lemons, and pineapple. Condiments such as mustards, vinegars, Worcestershire, soy sauce, and even their brand of ketchup, as well as Kalamata olives, pimento-stuffed green olives, and canned salmon and tuna are frequent purchases of mine. As for fresh meats, I buy their ground turkey, pork ribs, chicken thighs and wings, and corned beef brisket. Some of their ice cream bars are very good also. Their prices can’t be beat! Hi Donna! Thanks for your great review! Some of the things you have mentioned I definitely haven’t tried but will be on the lookout for them! Hi Chris! Welcome, Lindsay! 💕 I have really just started shopping at Aldi. I love their fresh produce most of all, their organic eggs, and specialty cheeses too. I also buy their brand of lemon flavored water, like La Croix, only cheaper. I’ve noticed more organic meat offerings, so I’ll stay tuned to see how that improves. Another great reason for shopping there is that I pass right by Aldi on my way to and from work every weekday. Thanks for the great suggestions. Thank you for your suggestions, Rhonda! I haven’t tried their flavored waters. It’s fun learning all this good stuff from each other! An Aldi just opened up about 5 minutes from my house—and I still haven’t gotten there, though I’ve been to other more distant Aldis in the past. Now that I’m armed with a must buy list, I’ll be there this week. Thanks! Yes, try it out, Liz! You definitely can’t buy everything there but they have some good quality, wonderful buys! We live in Northern California and we do have Trader Joe’s and I do shop there but they aren’t a very big store so there aren’t a lot of choices. They do have some organic but not everything is organic. I am trying to use organic as much as possible. I have never heard of Aldi but it sounds like my kind of f store. Thanks for all the tips. I love your emails and love your recipes thank you so much. Thanks so much, Christy! I hope Aldi expands to your area. I think you’d really like it! I’m an Aldi shopper too. I start there with my list and usually find 75% of what I need. Produce is fabulous!!! The Envy apples are super crisp and juicy. They have the best prosciutto I’ve found anywhere at any price. I’m picky about marinara sauce and usually make my own, but I do like their tomato basil sauce. They carry 3 different ones so I have t o make sure I grab the right one. It’s a great base and easy for a quick meal. The regular price on butter is great, and often in the fall I’ve gotten it for under $2 a pound and fill my freezer. Have always been picky too about bone in ham. I finally tried their Appleton Farms and really loved. Will grab the thick sliced bacon next trip. Thanks for sharing your favorites! I’ve never tried the marinara. I’m like you kind of picky about it but I will pick some up next time. And I wondered about the ham too! That’s great to know! So sorry Heather. I have a feeling that, with the way Aldi’s expanding, it won’t be long! I agree with your review of Aldi’s, as my husband and I have been shopping there for about ten years now! My husband, of course, is a big fan of their snack section, especially their chips. I’m always drawn to their “Special Buys,” especially seasonally and at the Christmas holidays! Thanks, Kathleen! Yes, I love their special buys too. This past Christmas I found candles there that were Anthropology copycats – they were beautiful and smelled amazing (almost exactly like Anthropology’s) but for a fraction of the price. So cool! Thank you for the informative review. I have a new Aldi store nearby but never stopped in. After reading your review I’ll give it a try. My husband read an article stating Aldi offered some great wines, too. Thanks, Susie. Do try it, I think you’ll be surprised! Hi, I am living in Calgary, AB. Trader Joes is a name I am familiar with. However, as far as I know, operating only in the USA. Does Aldi have stores in Western Canada???.. We LOVE Aldi (we live in Illinois)!! We are snowbirding in AZ right now where there are no Aldi stores and miss some of our favorite products. There is a Trader Joes, however, so we can at least have our favorite things from there! If you are a regular shopper at both stores you will see tons of similar products just with different labels. 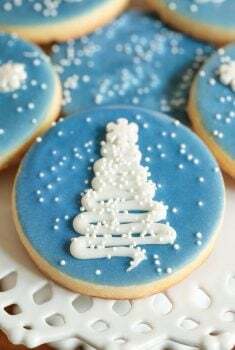 I usually make most of our snack-y foods from scratch but once in a while I love to eat the packaged cookies they carry. The Bentons brand is yummy! Plus they have (at least) 3 dupes for Girl Scout cookies that are tasty…. In my opinion better than the actual GS cookie! Thanks for this post. We love AZ but will look forward to being around an Aldi again. 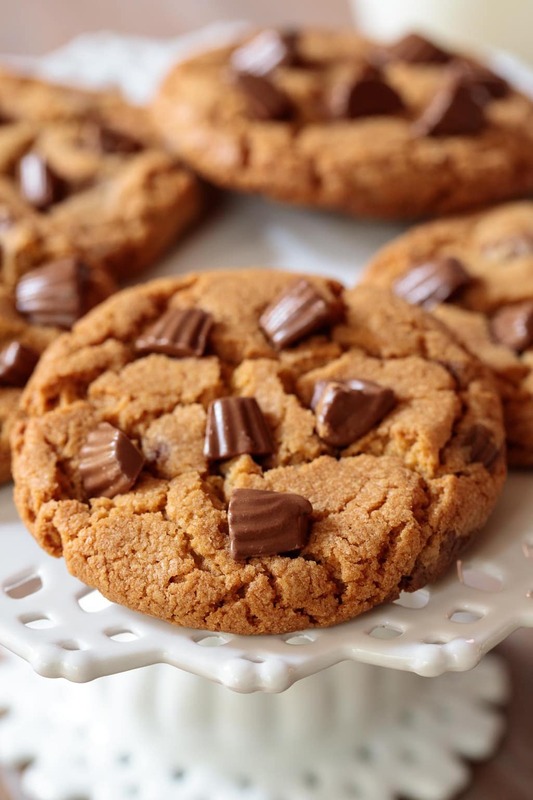 Thanks for sharing your favorite products, we will try the Girl Scout Cookie copycats! I shop weekly at Aldi too! Their meats are good, and the chicken, and we sure enjoyed the corned beef they had for St. Patty’s Day. I agree with you on the bacon, but we’re happy with the flour, brown sugar and confectioner’s sugar. The latter may be because nearly the whole bag gets used at one time though. The paper products are fine…if you can get it (our store sometimes has problems getting stock in), the red label “strong” toilet paper is the best. And the dairy products…milk is much cheaper than the grocery store! And the half and half too. I’m not crazy about their breads, but the brioche is good. Keep an eye on the produce, sometimes it can go quickly. I’m still a Quaker Oatmeal fan, I didn’t care for Aldi’s. Or the grits. But their cereals are generally as good as name brands. I too love Aldi and am shopping there more and more. My daughter-in-law is a huge fan. I love their produce, especially their cauliflower and white mushrooms. Totally agree about the nuts and chocolate. Their dark chocolate covered almonds and sea salt caramels are wonderful! You can’t beat their cheese prices. I love the plastic bags and I do like their paper towels. I recently bought the fire-roasted tomatoes per your suggestion for your Chicken Tortilla Soup. They were wonderful, as was the soup. I can’t wait to make it again! Your recipes are all so wonderful, and it is so helpful to have your input on your favorite sources for ingredients. On another note, your Ridiculously Easy Biscuits are a family favorite – I am making way too many of them lately!! I love your blog and check in every day. Thanks for what you do!! Thanks, Judy! I will definitely try the pork chops! The balsamic glaze sounds wonderful too! I loved your post and am sharing it with “my Daughter-In-Law”! She is a huge Aldi fan! Her slogan is : “If you can’t find it at Aldi, you probably don’t need it!” I am becoming a bigger fan with every shopping trip. I just bought the fire roasted tomatoes, per your suggestion, for your Chicken Tortilla Soup. I must say that just may be the best soup I have ever had! I love their cauliflower-it is always fresh and large and soooo much cheaper than at the chain store. Their white mushrooms are also a fantastic buy. I am a Costco ground beef lover, but I will try Aldi now. My son loves their salmon, and they do buy all their meat there. I totally agree with you about the nuts and chocolate. Their dark chocolate covered almonds and sea salt caramels are wonderful. I also agree with you about the wonderful cheese selection and prices! Their heavy duty aluminum foil is wonderful – I made a mistake and bought the regular the last time – not so good!! Plastic bags are great and a great price. I also like their paper towels. 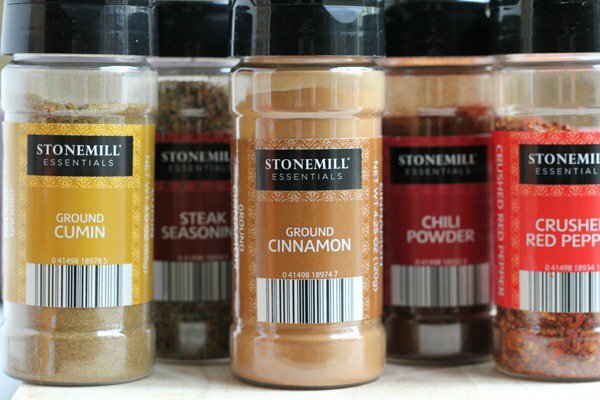 I am a Penzey spice girl, and I did buy Aldi spices recently – the cumin and oregano were good . The paprika was a liitle flat. This was a great post, as are all of yours. I so enjoy your blog, and know I will like anything I try! I am making your biscuits way to often lately! I made some for my daughter to take on a ski trip recently, and she now requests them whenever she stops by. Thanks so much for all your great ideas and stories. I can’t wait to see your new kitchen – I know I will love it! Thanks so much, Becky, what a great review on Aldi. It’s so helpful to hear other’s favorite. I have some new ideas for next time I shop Aldi!